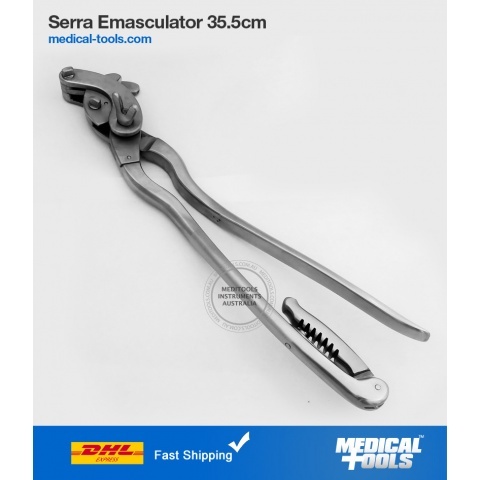 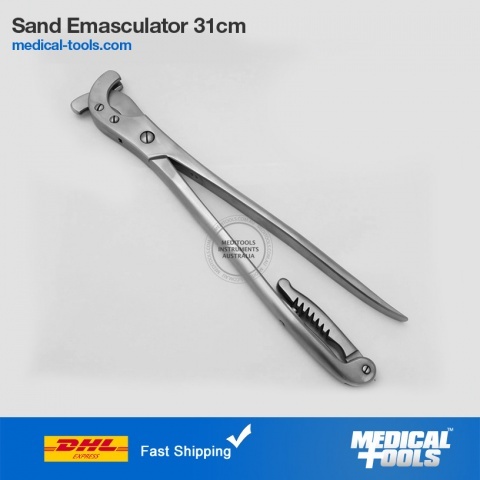 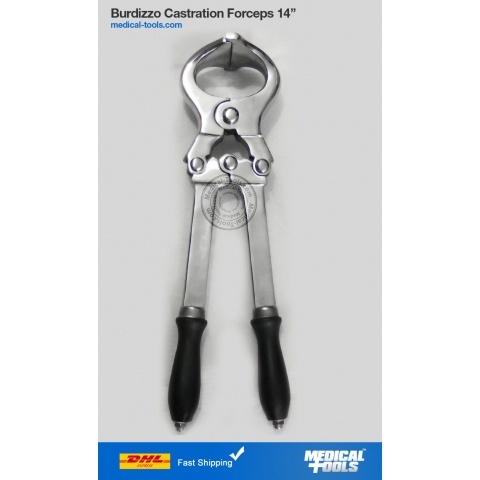 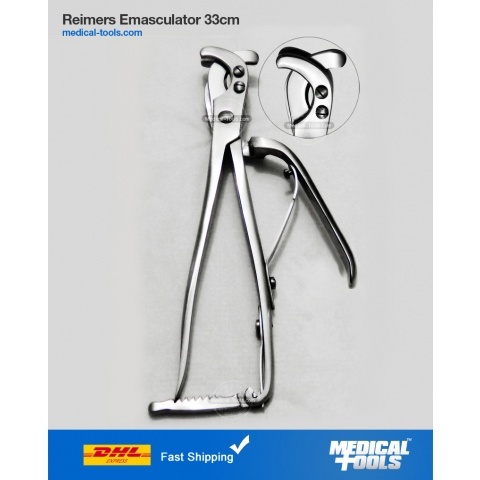 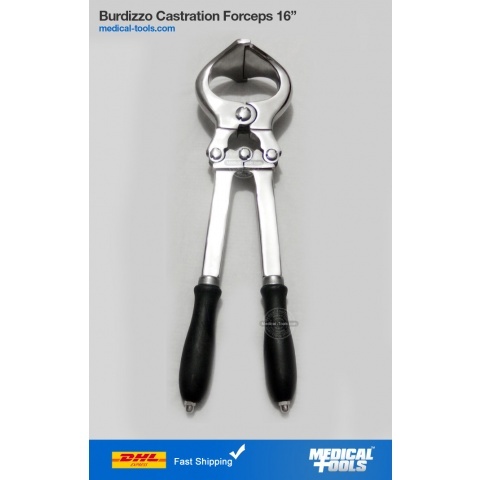 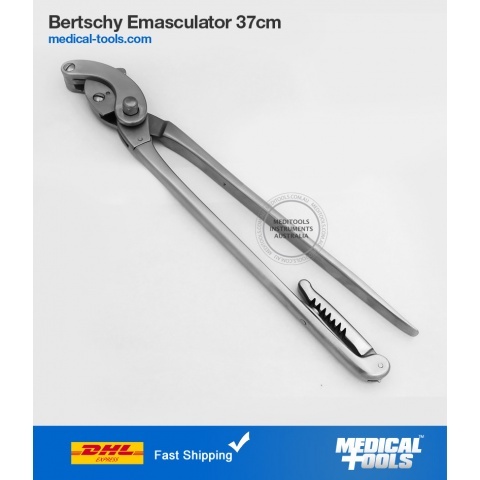 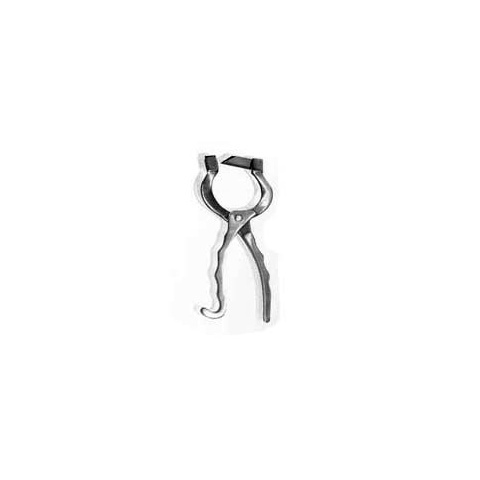 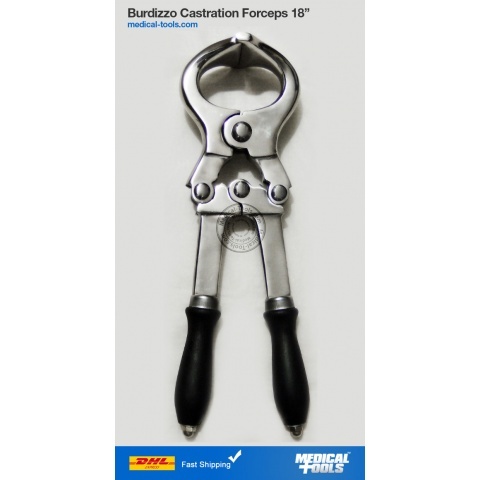 Emasculators or Castration Forceps are used to desex animals using one of the three common methods. 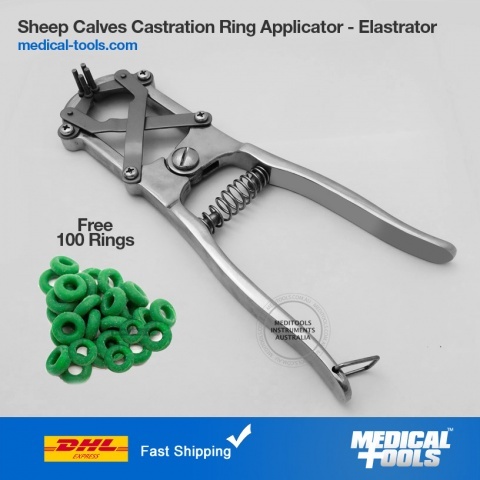 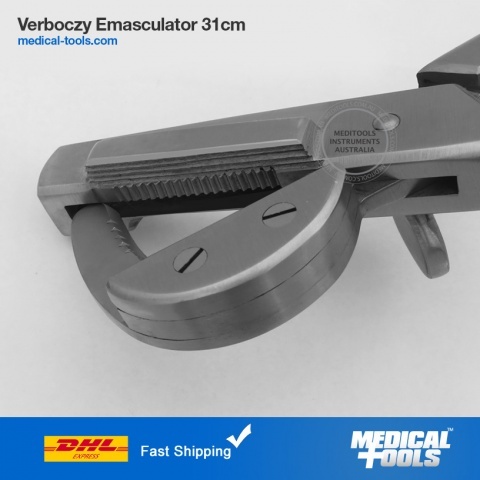 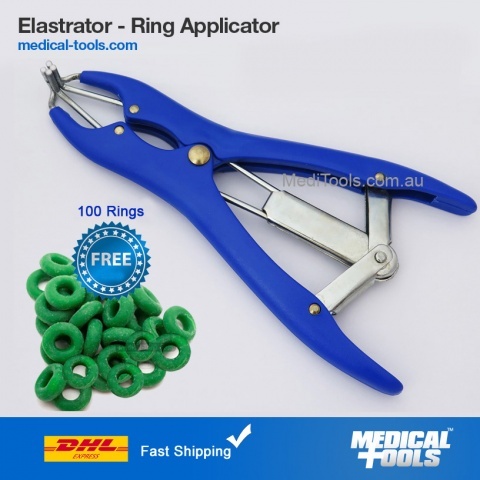 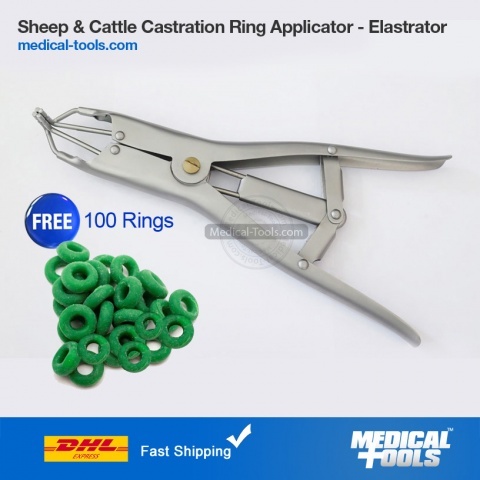 This method of castration uses a clamp which crushes the blood vessels around the testes, cutting off blood supply and causing them to die and drop off. 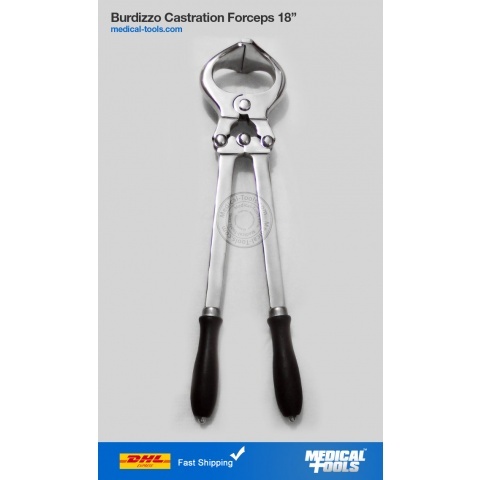 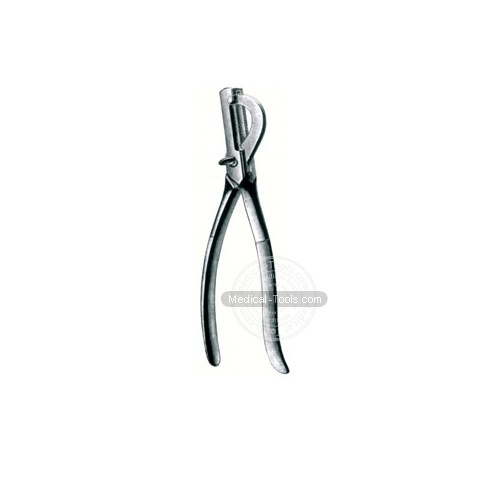 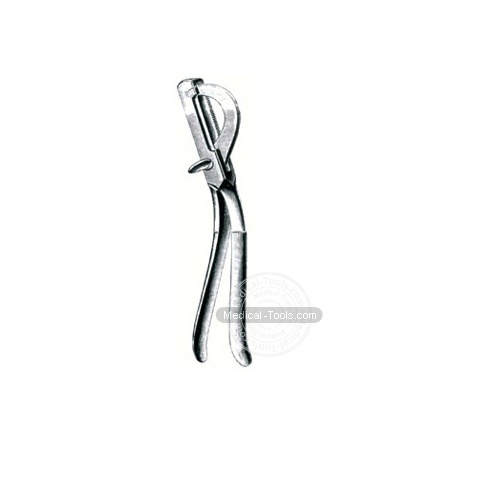 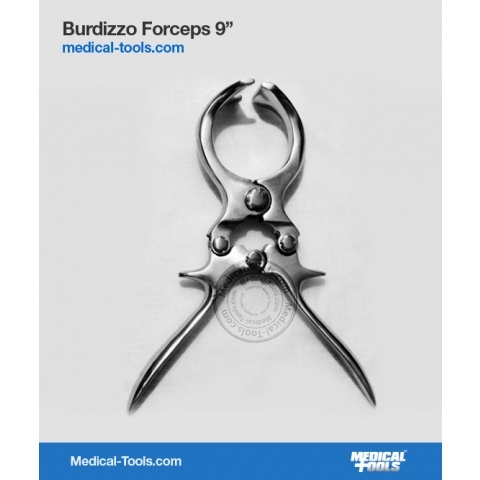 Castration Forceps are available in 9", 12", 14", 16" and 18" sizes.